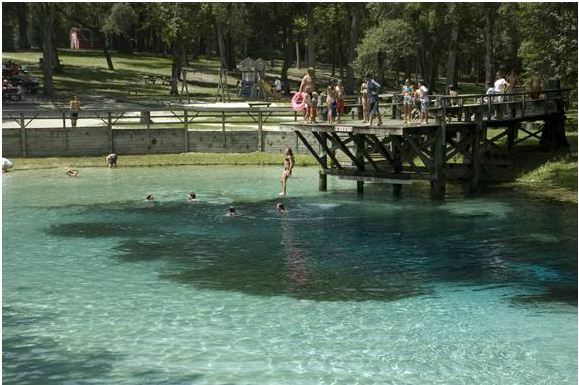 Blue Springs is a heavenly escape from everyday life and hurried vacations. Swim in the crystal-clear blue waters , stroll along the boardwalk to the Santa Fe River, canoe or kayak the spring run, and camp at their fully equipped campground. Canoes, kayaks and tubes available for rent; pavilions available for special events. Open daily from 9 a.m. to 7 p.m.